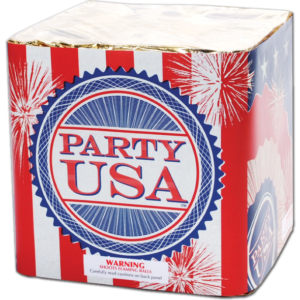 When planning your fireworks display, there are numerous things that must be considered. Do you have the right mix of fireworks effects? Is the soundtrack in sync? Have you cleared a perimeter, and do you have a fire extinguisher and a bucket of water on hand? With so much to think about, you might give little thought to how you will actually light the fireworks. If the weather cooperates and you have a comfortable, still evening, almost anything will work. If the wind kicks up, though, your fireworks show could be dead on arrival unless you have a plan. Here are some ways to light fireworks in the wind. This is arguably the most common way for backyard enthusiasts to light fireworks, but it is never recommended. A cigarette lighter is small and produces a short flame, putting your hands in extremely close proximity to the fireworks and thereby heightening your risk in case of a misfire. Beyond that, though, if there is any wind at all, your cigarette lighter will be pretty useless. 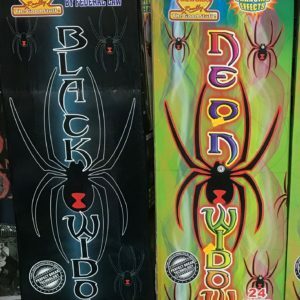 These long kitchen lighters are a far better choice for lighting fireworks under any conditions, as they keep you further away from each fireworks shell. They are designed for use on grills and campfires, so they do a decent job in the wind. Still, the flame is not incredibly large, and these lighters can become clogged with soot. They generally do a decent job, but they occasionally have problems. If you go this route, have a backup lighter on hand. If you have ever made crème brulee, you are likely familiar with the small blowtorches sold for kitchen use. 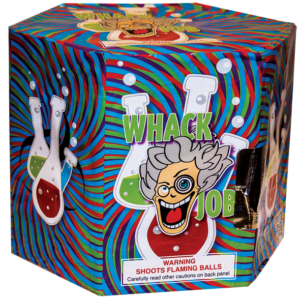 They do well in the wind, and they are a reasonable choice for lighting fireworks. 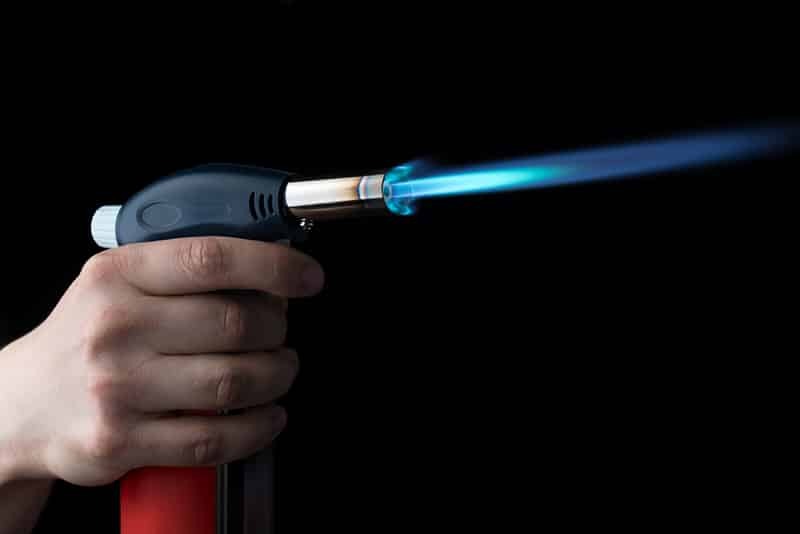 Like windproof gas lighters, though, there is a risk of your blowtorch becoming clogged and refusing to light. Consider having a spare blowtorch or lighter at the ready in case yours stops working. A portfire is arguably the best handheld lighting mechanism for fireworks. 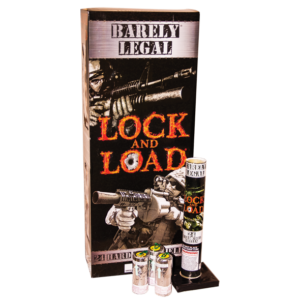 They are used by many professional pyrotechnicians as well as knowledgeable backyard enthusiasts. A portfire is a long tube of pyrotechnic powder that will burn intensely for 3 to 4 minutes. You can wear gloves when using portfires, and even tape them to a stick to further increase the distance between you and the fireworks. Some experienced fireworks enthusiasts like to show off by lighting their fireworks with a large blowtorch. While this is definitely showy, taking safety precautions is vital. Make sure you know how to control the flame, and practice with the blowtorch before your show. Always choose a torch that has an “on demand” flame rather than a constant one. To synchronize your soundtrack, boost your safety, or just take your fireworks display to the next level, consider a remote igniter. A basic consumer-oriented remote igniter lets you wire up nearly two dozen effects using simple fuse clips. At the press of a button, your fireworks will safely launch from a remote position while you sit back and enjoy your own show. With no open flame to worry about, you can launch in even a brisk wind. If you are ready to purchase your next fireworks, or you are simply seeking information on using them safely and responsibly, contact Dynamite Fireworks today at (219) 937-4090.